Thank you to Wolf Gourmet for sponsoring this opportunity, as always all opinions expressed here are my own. 5 ingredient Sriracha chicken makes for the easiest and best home cooked dinner. 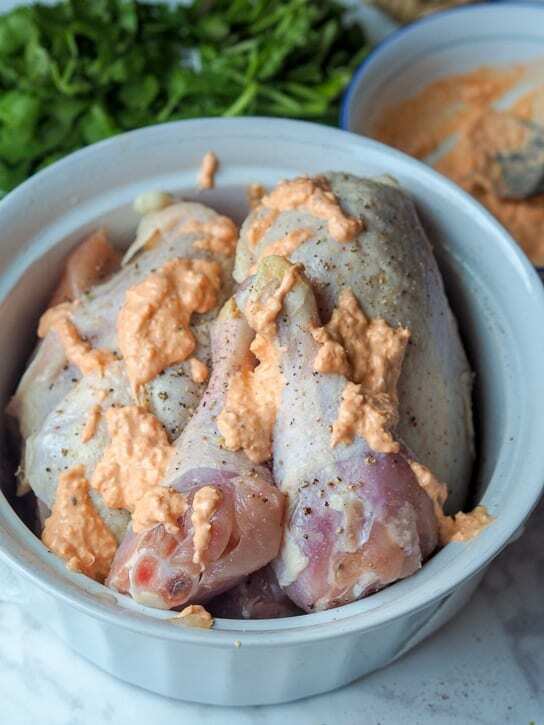 Marinade of mayo, Sriracha, ginger and garlic guarantee for super moist meat every single time! Gluten Free and Dairy Free. Since I’ve made the decision to move to Philadelphia in July of this year and end my 6 year nomadic life style, I’ve slowly started acquiring and stocking up on apartment essentials. Everything that I didn’t get rid of in 2012 has been packed into boxes that have not been touched in years so I’m slightly horrified at the thought of unpacking any of them. Better to just buy all new apartment gadget and kitchen equipment, are you with me? I’m still shopping for a food processor, but a high speed blender has been ticked off the list, and now Wolf Gourmet has helped me tick the countertop oven off the list. No toaster needed now either. 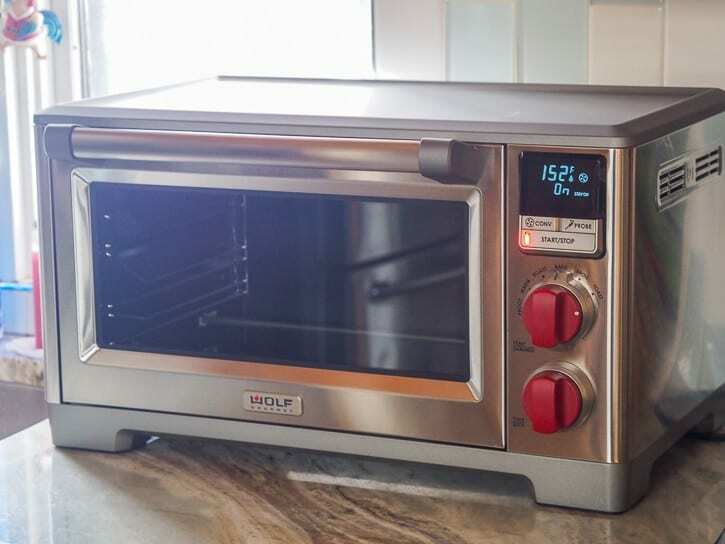 The Wolf Gourmet Countertop Oven can warm, roast, bake, broil and toast. 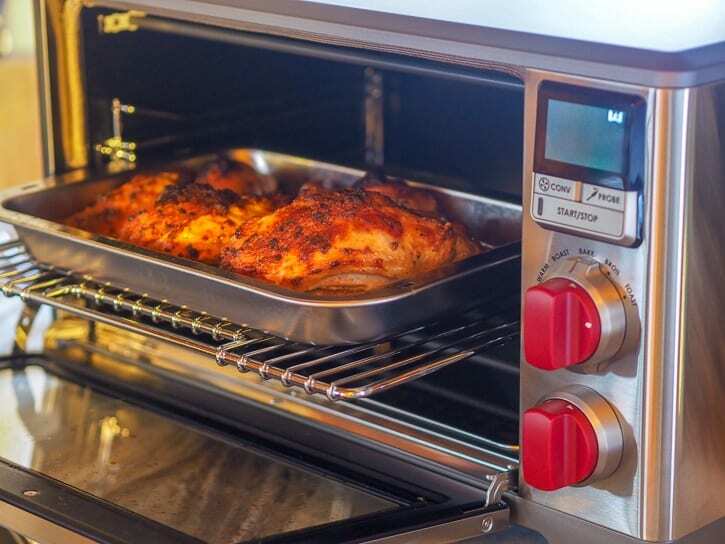 It also has a convection oven feature which provides uniform heat, surrounding and circulating the food, reducing cooking time by up to twenty-five percent. 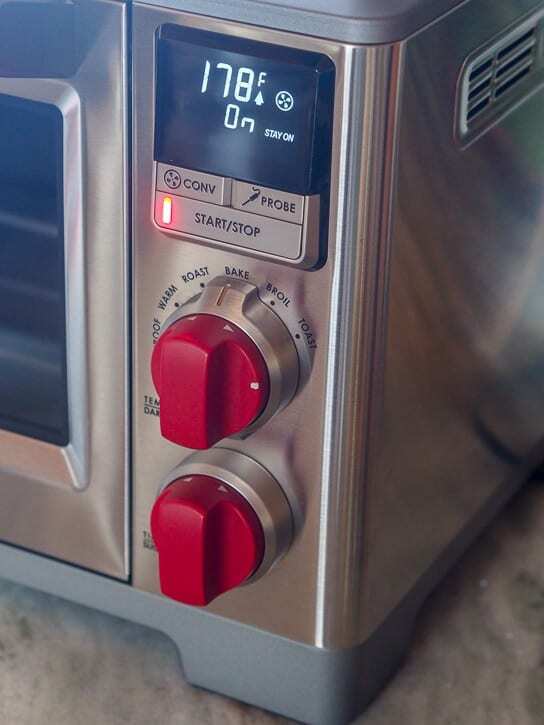 Best of all the Wolf Gourmet Countertop Oven also has an integrated temperature probe which allows you to keep an eye on the set temperature as well as the probe temperature on the LCD display, without even having to open the oven! 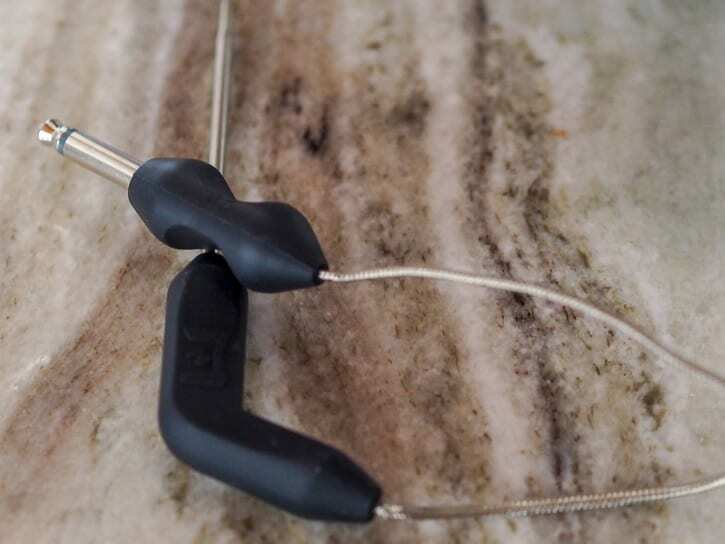 You never have to skeptical of your meat being cooked properly again! For my first recipe in the countertop oven I went for a Sriracha chicken. Lately I’ve been seriously craving Asian flavors (though this seems to always be the case for me). I just need ginger + garlic and Sriracha in my life at all time. And my Russian roots always bring my back to mayonnaise. For the Sriracha chicken I wanted to first create the perfect marinade. Both my mom and grandmother swear by mayonnaise as the ultimate meat tenderizer and after making baked pork chops and oven roasted chicken dozens of times over the years I wholeheartedly agree with them. Something about mayonnaise just works to ensure meat and poultry products never dry out and are always moist. So for the Sriracha chicken marinade I combined mayonnaise with Sriracha, minced ginger and minced garlic. Simple but effective and flavorful. Mix those up together and rub all over the chicken. For maximum flavor it’s best to use bone in skin on chicken here. I am sure this would work with boneless and skinless chicken breasts and thighs too but if you’re not opposed to bone in skin on products please use them! I had a mix of drumsticks and bone in skin on breasts – almost 4 pounds worth. When rubbing the marinade all over the chicken make sure to use a knife to separate the skin from the flesh and really rub that marinade under the skin. You can even make a few diagonal cuts in the large breasts themselves to get the marinade in there too. Season generously with salt and freshly cracked pepper before loading into the Wolf Gourmet countertop oven. If you’re like me you’ll be obsessively watching the chicken crisp right through the window, right in front of your very own eyes. And in just 30-45 minutes the Sriracha chicken will be ready to eat! Sprinkle with some cilantro and you are good to go. 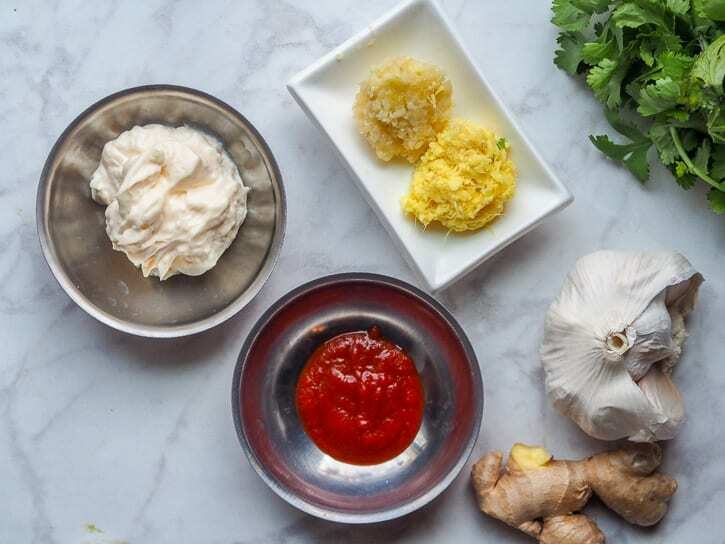 If you need a sauce to go with your Sriracha chicken whip up my classic Sriracha aioli. 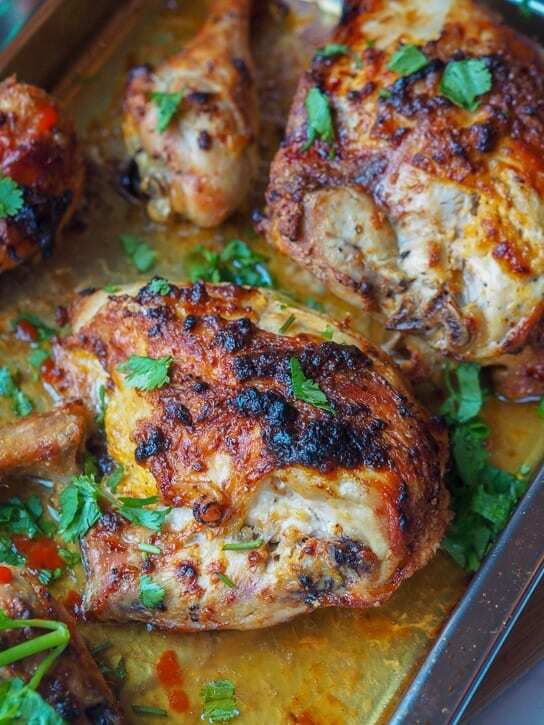 Overall this Sriracha chicken recipe was a hit with my whole family. 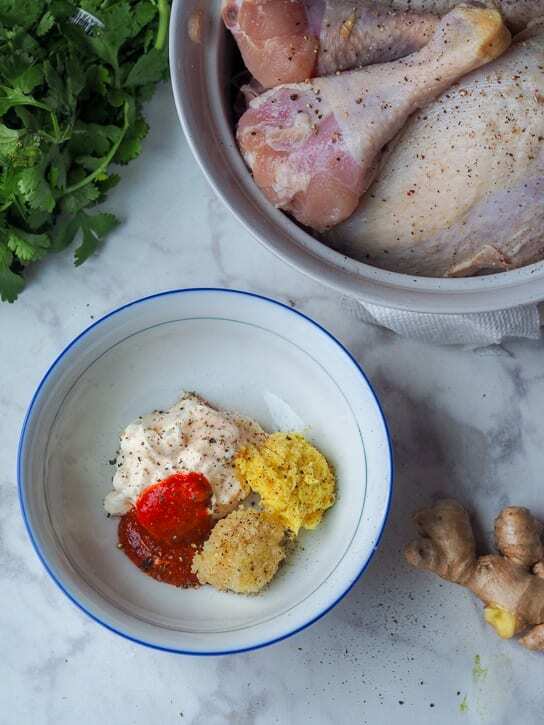 The chicken ends up super tender with a bit of a kick and the vibrant flavors of garlic and ginger. Feel free to leave the chicken to marinate for up to 24 hours, or even just 15 minutes will do if you’re short on time. You can find the Wolf Gourmet Countertop Oven for purchase online or enter the giveaway below to win your very own one! Rub marinade all over the chicken pieces, making sure to get it under the skin. Marinate for 15 minutes up to 24 hours (in the refrigerator). Place chicken pieces in a single layer on a baking sheet and bake for 30-45 minutes, flipping the chicken over halfway, so it does not burn. Reduce heat to 350 degrees if chicken is still not cooked through and need an additional few minutes, but is getting too crisp. Loving the opportunity to win this countertop oven and making your delicious healthy recipes in it. Oh my! That chicken looks so good with this golden skin, love the heat brought by the sriracha! Oh man, no idea what I’d do first. Probably heat up some leftovers, honestly! OMG! 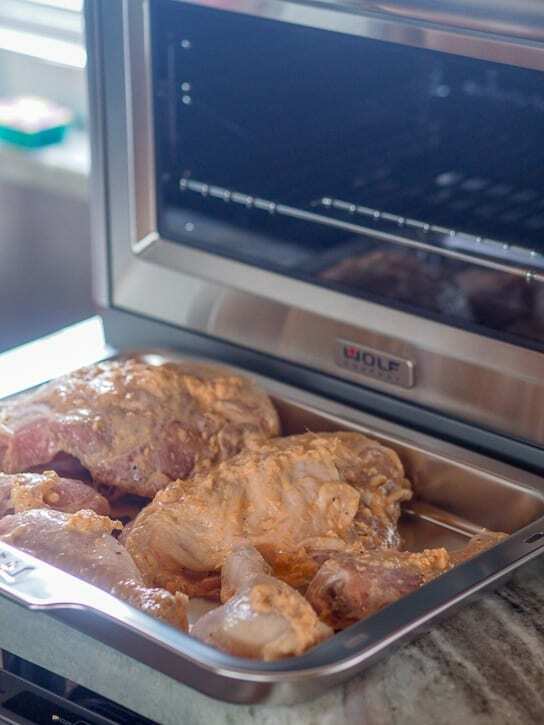 This chicken looks amazing and I think I need this oven in my life!! A+ on both accounts! Wow! It’s just my husband and I. I could really use an oven like this. He would love this chicken recipe, but I also wouldn’t mind trying my oven baked shrimp risotto in it. I did not know that was how the air fryer worked! Interesting! This Chicken pictured i want to make this now. This oven looks amazing! I would try roasting vegetables in it. 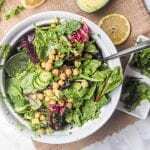 I have found some of the most interesting and delicious recipes on Avocado Pesto…and my interest in trying new foods has been continually piqued. Thanks for your effort! I’m a senior citizen ready to embark on the nest stage of my life, and this appliance would be a great help in my new situation.. Fingers crossed! Thanks so much! Mayo and Sriracha together are the BEST! This recipe looks perfect for a first meal in the Wolf Gourmet Countertop Oven! 5 ingredients and minimal prep time? Sign me up! I’m so busy I hardly every cook and need to get better about that in the new year! I would like to make a homemade pizza. I’d make some chicken fingers with sweet and sour sauce first. 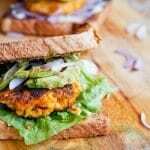 I would attempt to veganize this recipe using a vegan mock meat that taste just like chicken. Then I’d bake bread in it! 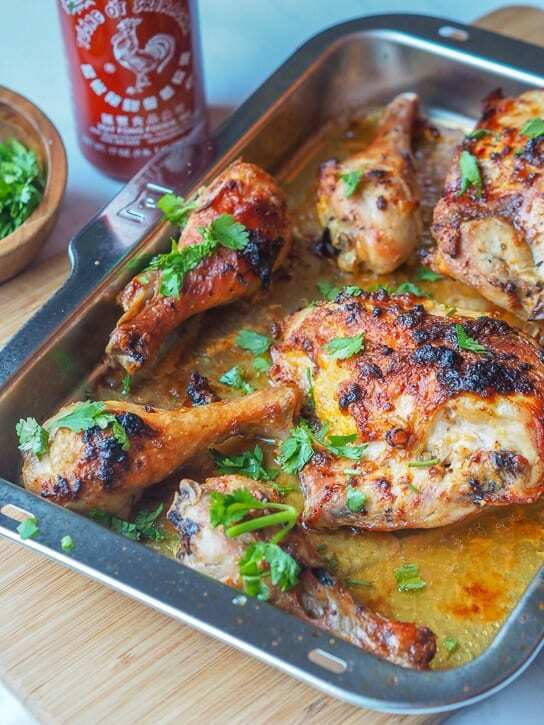 I would love to try this sriracha chicken recipe as the first thing to make in it! I would make peach turnovers. The delicious looking schirracha chicken! I would make some pork chops in it if I won! I would make this recipe! 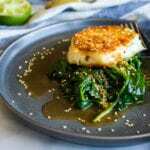 I would bake rock fish stuffed with jumbo lump crab meat It i a decadent dish that doesn’t take long. This would be a real treat; a great meal and a perfect space saver for my size kitchen! I would like to make a roasted chicken. I might make muffin-sized jalapeno cornbreads. The first thing I would make would be a huge pan of chicken nachos oozing with cheese and loaded with jalapeños! I would make my mas chicken pie! 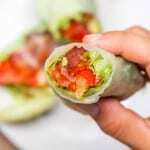 I would love to try the sriracha chicken posted and something for breakfast would be cool too! I would make roast chicken over carrots and onions first. I would like to make some garlic chicken! I would make chicken parmesan. maybe make a small lasagna . I so need a new one ! I would make some delicious meatloaf and baked potatoes. Next I would make brownies. I would definitely try this recipe and also make a large pizza. Sriracha Chicken (Baked) with Cilantro of course! A whole chicken with vegetables. We love chicken. Would bake some fries and also taquitos. Then some salmon steaks. The first thing I would make using this oven is macaroni and cheese with breadcrumbs. I would make a grilled chicken veggie medley. 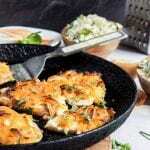 I definitely will try this recipe – Sriracha Chicken (Baked) with Cilantro ! 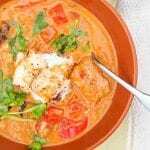 Your recipe looks so yummy and my kids love Sriracha very much. Oh I would make pizza bagels!! I would make king ranch chicken in my Wolf Oven. I would roast a chicken yummy!! 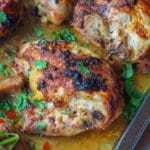 I will make the Srirachia Chicken Baked with Cilantro, it looks amazing. I’m sure that my family will love it. I would bake battered, seasoned cauliflower florets. I would make Garlic Bread first. The first thing I would make is cheese enchiladas. I would try a new meatloaf recipe I recently discovered. Thanks for the super giveaway opportunity! I would love to bake some brownies. What a great oven! This would be great for making pork chops or a casserole. I loved this recipe / Vegan Paleo Caramel Cheesecake with Date Caramel Chocolate Drizzle. Perfect first thing for this oven is do-it-yourself pizza with whatever’s available. I would make a roast. I would make a batch of cookies, chocolate chip walnut to be exact! I’d make this chicken first (LOVE Sriracha).. or eggplant pizzas.. or muffins.. ugh possibilities = endless! We just became empty nesters and this oven would be perfect for us. Plus I’d have a 2nd oven for the holidays. The first thing I would make in this Wolf Gourmet Countertop Oven would be a beautiful cherry pie. I would make this Sriracha chicken! I’m already making it this weekend. Thanks for the great recipe! I would make a some Lemon Cranberry muffins. Thanks for the giveaway! Breakfast is my favorite meal of the day, so I think that’d be the first meal I’d make in this oven. I have a few ideas.. baked banana pecan oatmeal, cinnamon rolls, carrot cake muffins, or enchilada bake if I’m craving something savory. I would make eggplant parm. I would make my eggplant in this. I want to try the Sriracha-Chicken. That looks so good! I LOVE cooking and baking and have been without an oven for the last several months 🙁 I’ve had to get creative with steaming vegetables in the microwave, so if I won this Wolf Gourmet Countertop Oven the first thing I’d make would be a sheet of roasted vegetables! After that I’d probably play around with making mini quiches. The first thing I would make in this oven is a chicken sheet meal, all veggies and chicken on one tray. I’d drizzle with olive oil and sprinkle with some spices. YUM! The first thing that came to mind was Mini Chicken Pastry Pot Pies. Maybe it’s the weather. I would make your 4 Ingredient Oven Baked Pork Chops recipe. The first thing I would cook in the counter top oven would be twice baked potatoes! I would first make a roasted pork tenderloin. The first thing I would make would be some broiled fish! I would make our kids snacks, like fish sticks and nuggets. I hate heating the entire oven to cook 20 chicken nuggets. Your schirracha chicken looks amazing! I would make a home made pizza first. I would make a pizza first. This sounds delicious! I would definitely use more Sriracha because we love spicy! I’m going to make this very soon for sure! Thanks for the recipe and the opportunity to win the oven! 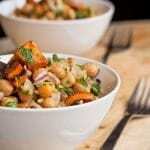 I would try cooking your “vegan pesto baked green beans with almonds” recipe; looks great! I’d actually try this recipe that you’ve shared with everyone. Looks delicious. I would make baked cheese casserole with breadcrumbs. I have not had dinner yet and that Sriracha Chicken looks so good. I’d make that. I would have to try banana bread just to see how the baking worked. This would be awesome to have for those cook for the freezer marathons. I would make your recipe for this Sriracha Chicken ! I would make this Sriracha chicken bake. I am always looking for new recipes. I would love to make pizza in this countertop oven. Your SRIRACHA CHICKEN sounds delicious and that is the first thing I would like to try! And if I don’t win the oven I’ll just have to use my regular oven, but a Wolf countertop would be wonderful! 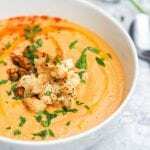 This recipe is yummylicious my family would love it. I would love to make Maple Barbecued Ribs. I would love to make homemade stuffed shells. Omg I would first make baked Chicken! 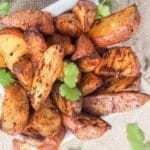 The first thing I would make would probably be roasted potato wedges with garlic and parsley. The first thing I would make in this Wolf Gourmet Countertop Oven, is probably some baked Oysters. still in pain from Blood Transfusion 12/22/17. patient Elizabeth 94 would surely appreciate it. Oops, forgot to say what I would make. Definitely it would be chicken. I want to try the Sriracha Chicken 1st thing. Thanks for the opportunity. I would make some baked pork chops. Yum! That looks so delicious.. the sauce sounds heavenly! 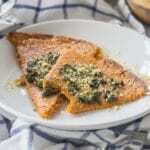 I would have to say, I would first try and make honey garlic salmon! I would test it out with my homemade pretzels first! I had other ideals of what to cook but now I want to make Sriracha Chicken. I would try the recipe above. Sounds delicious. I would make this recipe! yum..
Roasted chicken would be great for a cold winter night! I would make Lasagna. the chicken would definitely happen also, this recipe looks yummy! The first thing I would make is roasted brussel sprouts! This would be so darn handy, we’re in the middle of a down to the studs remodel and our temporary kitchen is a bit tragic. Our 15 year old, tiny, toaster oven just hasn’t been cutting it, especially because I cook all of our meals at home! I would make a pizza! The first thing I would make is a pizza. 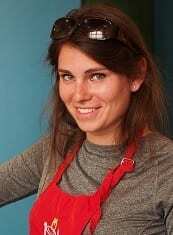 I would bake a lasagna. The first thing I would make is Chicken Pot Pie. I’d make baked mac and cheese! I’d make a chocolate cake. I’d make macaroni and cheese. I would bake some bread. I’d make baked potatoes and baked chicken! I would make chicken marsala!! I think I would make a corn casserole. Oh…first I would love to try your gluten free Sriracha Chicken! Oh that looks so amazing. 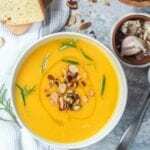 I have been getting tired of the same gluten free recipes over the past year…I need to find some new ones for the whole family! I would love to try cooking some chicken with that! Looks so delicious! The first thing I would make in the Wolf Gourmet Countertop Oven would be pizza..
I’d make my favorite baked spaghetti casserole. 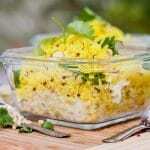 I have this great chicken and rice bake recipe I would make. Healthy chicken tenders for my kiddos! Love this! Some sort of comfort food, maybe shepherd’s pie? I would make a meatloaf which is a favorite of everyone in my family. I’d like to roast some brussel sprouts or cauliflower in it! I would make a pizza first! The first thing I would make is a flatbread pizza with mozzarella, tomatoes and basil. I would make a roasted chicken. I would cook something low carb. Awesome giveaway. I would cook a pizza! 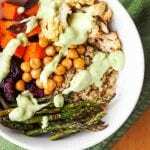 I would probably try the Baked Sriracha Chicken, it sounds delish! I always use a countertop oven. Love Wolf! I would make a yummy pizza with tons of mushrooms and peppers. This would be wonderful to have. I would bake some blueberry muffins! I would make chicken and veggies. yum! That looks delicious! I think I would make baked pork chops first! Actually this recipe sounds great. I have sirracha in the fridge and love all the flavors this makes. I love chicken and an oven like this would help out greatly. 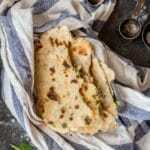 I would make some flatbread sandwiches. I’d probably make something simple like Chicken Strips Parmesan, Thanks and God Bless! . I would make this chicken recipe in it looks so good my family would love it. 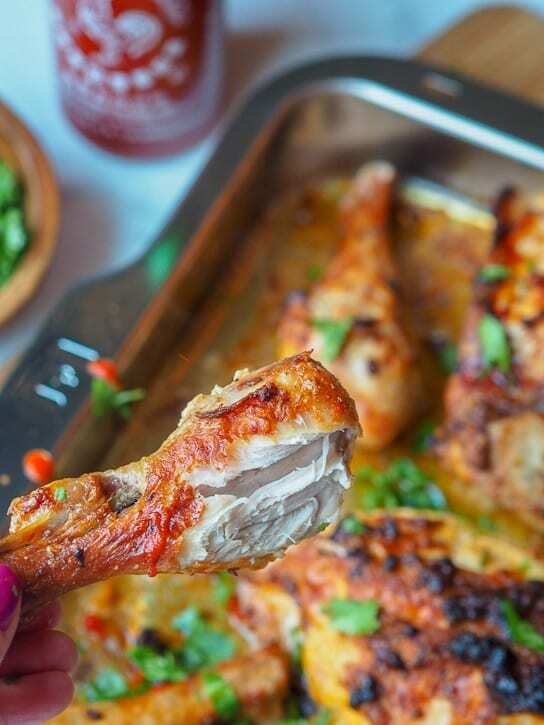 This 5 ingredient Sriracha Chicken looks so delicious! I love how easy it is to make and that I already have all the 5 ingredients in my kitchen! 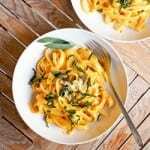 I’m planning on making this recipe for my family! I would love to bake some salmon in it! That would be delish! I would make honey glazed chicken. I would make a roast chicken. I would make some twice baked potatoes . I would make some quick cinnamon toast first and I’ve been loving roasted vegetables so I would a pan of those next. I was going to say my chicken casserole but after seeing the recipe you shared I will be making it. It truly does look delicious! I would bake some stuffed chicken breast first. If I won the Wold Countertop Oven, the first thing I’d make would be Mom’ mushroom chicken marsala! I’m going to make this!! I would make Honey Oat Bread. I’d love trying the proof setting. I’d have to say enchiladas… this would make it so easy! I would make smoked brisket empanadas. Yumm. This oven will look great next to my Wolf blender! The first thing I would make would be a chicken divan casserole that we love. This would be super duper incredible to have in my kitchen. I love cooking more than anything. I would whip up some homemade personal pizzas with cauliflower crust and tons of yummy veggies.! I think I would make a personal pizza for the first run. I would bake a cake! i would roast veggies in it! I would make my delicious breakfast casserole the morning after I get it.